But this year, it’s as if, in the weird circular way of fashion, sports clothing, which has been exerting its own influence in ateliers and on catwalks for the last few seasons in the form of streetwear and athleisure, has now effectively changed that game enough so that when designers move to the Olympics, their actual sportswear looks again like sportswear. Roll your eyes if you want to. It’s true. Ralph Lauren being the prime case in point. The closing ceremony styles for 2018 (the opening ceremony looks are being held until closer to the Games just to, you know, keep the anticipation going), involved a simple white down jacket over streamlined navy track pants with a red stripe down the side and a red, white, and blue striped sweater. They are relatively no-fuss and low-kitsch — especially compared to the offerings for the 2014 Games: patchwork Americana grandpa cardigans for the opening ceremony, and pea coats for the closing event. There are also some brown work boots with red laces. It’s the same story with Burton, which in 2014 also produced a weird patchwork-themed snowboarding style based on an old prairie quilt (Really: The print was faded squares of flags and plaids, and it was paired with khaki pants) but this time around has gone with an astronaut concept that actually looks pretty cool. Think white puffa onesies or glimmering jackets and pants given a metallic sheen with a micro-thin coating of aluminum, and bright orange under-layers. 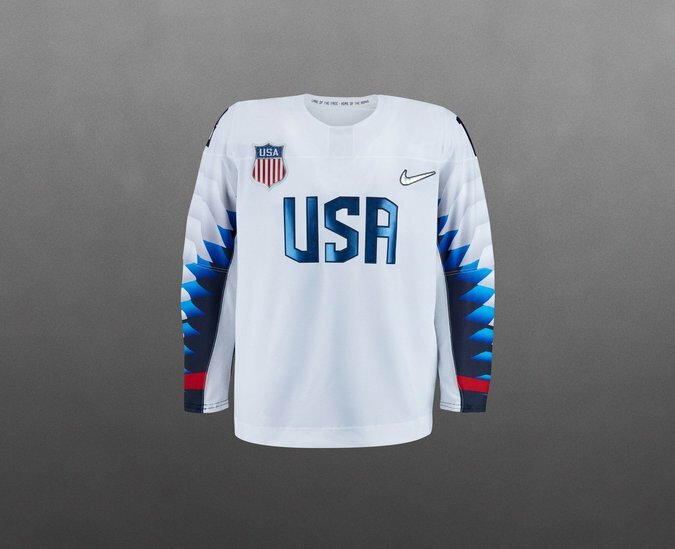 The “home” jersey for the United States hockey team, designed by Nike. There are exceptions, of course: Australia’s formal uniform, worn at team functions, consists of a blue-and-white checked button-front shirt, blue suit, green crewneck, tie and brown pants, making the athletes look more like high school biology teachers than high-level competitors (“Are these the worst Aussie Winter Olympic uniforms?” asked The Daily Telegraph). Perhaps the actual competition gear, still to be seen, will change that. 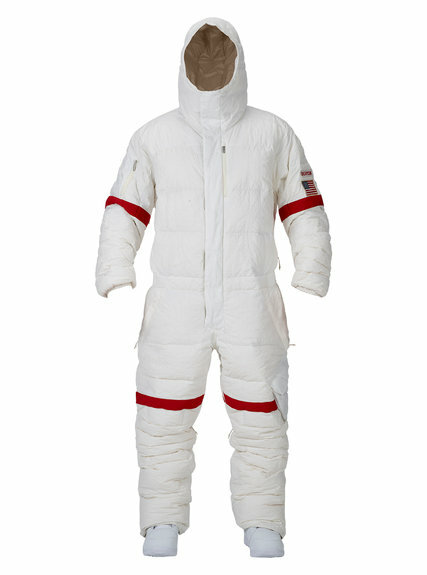 The uniform for the United States snowboarding team, from Burton. 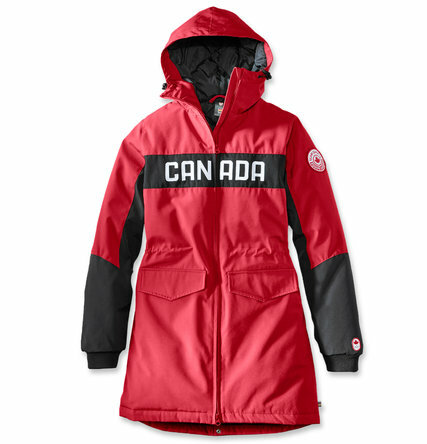 But Canada’s outfits, created by The Hudson’s Bay Company, include a red, white and black anorak and black pants that look like nothing so much as Supreme-lite, thanks to both the color scheme and the white-on-black rectangular “Canada” logo slashed across the chest of the coat. Given the recent success of that streetwear brand, possibly the first underground niche-cool line to become part of the billion dollar club (and yes, that may be an oxymoron), it’s a potent connection to draw. There are the requisite lumberjack checked shirts and maple leafs, but they are almost incidental, as opposed to the main event. That is a good thing. 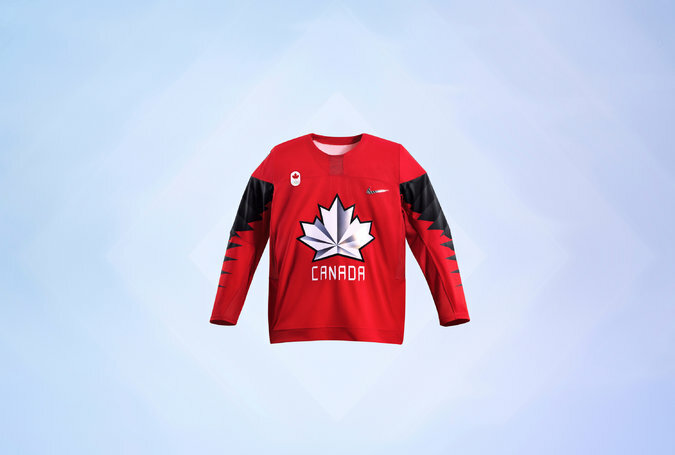 Canada’s hockey teams will be wearing this jersey, also by Nike. Similarly, Lacoste, which for the 2016 Summer Games added a fancy curly rooster (the French Olympic symbol) to their tops, seems to have pared down even further for Pyeongchang, and gone for aerodynamic atonal looks, including white on white for the podium. The anoraks for Team Canada, created by The Hudson’s Bay Company. Often in the past there has been some erring on the side of symbolism, but this year (or next year, to be precise), it seems to be being toned down.